A gang who ran Class A drugs into tourist hotspots across the East Midlands, including Skegness, have been jailed. Their crimes were masterminded by Shaun Lau while serving time in prison for previous drug conspiracy offences and he used established contacts to send up to £400,000 worth of heroin and cocaine into Skegness and the Nottinghamshire market town of Newark. Lau and his organised crime group, based in Nottingham, used a number of ‘safe houses’ in Mapperley, Bulwell and Newark to store large amounts of money and adulterate the high purity drugs. The illicit substances were then couriered to their intended target towns by members of the gang and supplied to local addicts. Meanwhile, proceeds from the sale of the drugs were laundered through various bank accounts. At ground level the gang used bribery and intimidation to run local drug dealers out of town and take control of the homes of susceptible users in order to supply their wares. 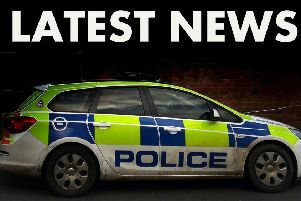 A six-month investigation by the East Midlands Special Operations Unit (EMSOU), supported by both Lincolnshire and Nottinghamshire police forces, led to the gang’s undoing. Enquiries made by detectives between September 2016 and March 2017 connected the dots and, following searches of a number of addresses linked to the gang — including Lau’s prison cell — £76,000-worth of high purity cocaine and heroin, and more than £10,000 in cash was seized. Evidence also pointed to them peddling much more during this time. When officers took action, the gang looked to be intending to extend its empire to Grantham. EMSOU Detective Chief Inspector Karen Pearson said: “Shaun Lau was running a well-established criminal enterprise from his jail cell. Using his associates outside the prison walls he operated an extremely profitable supply of Class A drugs out of a semi-detached house in a quiet street in Nottinghamshire. “But, as we have seen in other areas of the country, this group operated a County Lines model. They didn’t deal in their own back yards. They didn’t unleash these drugs on the neighbourhoods in which they lived, they used intimidation tactics to take control of other dealers’ ‘patches’ miles away from home. They then exploited vulnerable residents to set up camp there and embed a new supply network. “That said, the gang also held a toxic influence back in Nottingham, enlisting a number of people to do their leg work. They tempted their recruits with high-value rewards for their service — drawing them onto a slippery slope to serious criminality, which has ultimately cost them their freedom here today. Coast Area Neighbourhood Policing Inspector, Matt Bennison, said: “I am pleased to see significant sentences handed to those people who travel to small towns and commit crime, whilst often targeting the most vulnerable in our society. After a trial, three were found guilty of their parts in the plot. Twelve others previously admitted their involvement. l Shaun Lau, formerly of Jedburgh Walk in St Ann’s, Nottingham, led the gang from his HMP Hewell jail cell in Worcestershire. The 30-year-old was sentenced to 10-and-a-half years in prison. l Leah Barrett, formerly of Willow Hill Close in Bulwell, Nottingham, assisted with the day-to-day workings of her partner Daniel Langford’s drug trafficking activities. The 18-year-old was found guilty and sentenced to two years in prison suspended for two years. Scott Seville, formerly of Portland Street in Newark, allowed his premises to be used to store and supply heroin and crack cocaine, as well as convert cocaine into crack cocaine. The 44-year-old pleaded guilty to being concerned in the supply of Class A drugs and, alongside the others, was sentenced to two and a half years in prison. l Tracey Barthorpe stored drugs at her former home in Yorke Drive, Newark. At a previous hearing the 39-year-old admitted being concerned in the supply of Class A drugs and was subsequently sentenced to three years two months in jail. l Dean Haynes, formerly of Egerton Walk in St Ann’s, Nottingham, was the gang’s upstream cocaine supplier. The 30-year-old pleaded guilty to conspiracy to supply Class A drugs and will be sentenced at a later date.